Trader Joe's has earned the top spot in the dunnhumby rankings two years in a row. Trader Joe’s, Costco Wholesale, Amazon, H-E-B and Wegmans Food Markets finished as the top five grocery retailers in dunnhumby’s second annual Retailer Preference Index (RPI). In a survey of 7,000 U.S. households, the RPI examined the 56 largest retailers in the $700 billion U.S. grocery market to determine which have the strongest combination of consumer emotional sentiment and financial performance. This year’s results, released Wednesday, had Trader Joe’s in the No. 1 spot on the index for the second year. Rounding out the grocery retailers with the highest overall consumer preference index scores were Market Basket (No. 6), Sam’s Club (No. 7), Sprouts Farmers Markets (No. 8), WinCo Foods (No. 9), Walmart (No. 10), Aldi (No. 11), Peapod (No. 12) and The Fresh Market (No. 13). For the ranking, dunnhumby zeroed in on seven “pillars” shaping the consumer emotional connection to and the financial performance of a particular grocery retailer: price; quality; digital; operations; discounts, rewards and information; convenience; and speed. The Chicago-based customer data specialist said retailers who focus on superior value perception — that is, the strongest blend of price and quality — tend to have the strongest emotional bond with consumers and the most financial success. The top retailers on the index are mostly nontraditional grocers that have developed a highly targeted offering to bolster the value perception for their customer base. “More traditional, regional grocery banners with a long history are hurting because of it, having relatively poorer-performing financials and/or emotional bonds. The reason: These traditional banners have inferior price perception and/or quality,” dunnhumby said in the report. Trader Joe’s succeeds by continuing to be “excellent at what matters most to their customers,” despite pursuing a brick-and-mortar strategy over digital and having a limited assortment, especially in non-food items, according to the RPI study. For the RPI pillar of price, consumers seek retailers with pricing lower than other stores but fair in organic/natural items, the study said. The top five grocery retailers in price on the index were Aldi, Market Basket, WinCo, Food4Less and Costco. 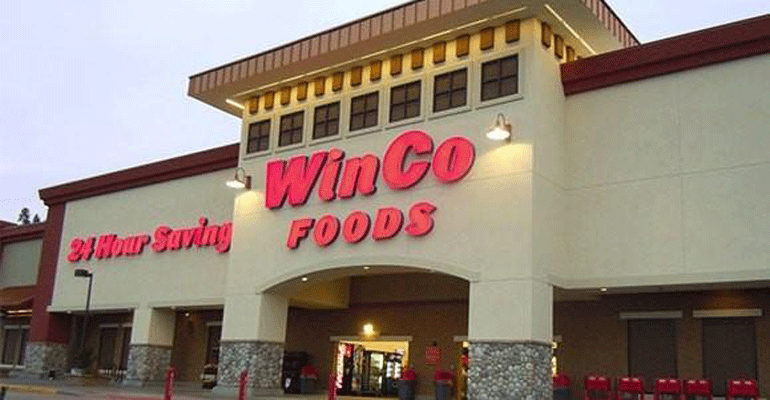 WinCo was ninth overall on the index and got high marks in price, operations and convenience. “Amazon and Walmart have a proven ability to flex their economies of scale and undercut prices of the competition and will likely respond similarly to an Aldi and Lidl expansion. 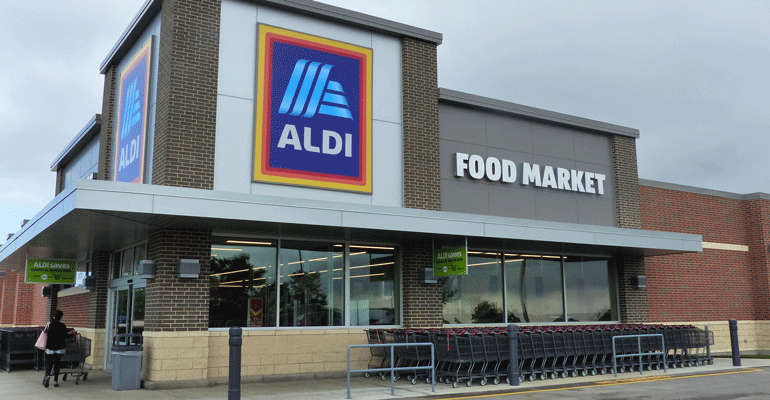 Given that Aldi can flex back with their own powerful and growing economies of scale, retailers who cannot engage in this back-and-forth must find their own ways to address price and value perception or become collateral damage,” the report said. Dunnhumby noted that Lidl, eyeing a U.S. expansion, has pushed other grocers to drop prices 10% to 50% in markets it has entered, while Costco may turn up the heat on the pricing front. “Costco’s CFO has expressed an urge to be first to market when it comes to price drops and will likely look to cover or beat the moves of Amazon, Walmart and competitive entrants,” said the study. In the area of quality, customers look for product freshness and variety, a strong private label, prepared food and natural/organic offerings as well as a compelling store experience, according to dunnhumby. That includes customer service, cleanliness and a shopping environment with an upscale feel. Leading the field in quality on this year’s RPI were Wegmans, The Fresh Market, Trader Joe’s, Publix Super Markets and Sprouts. 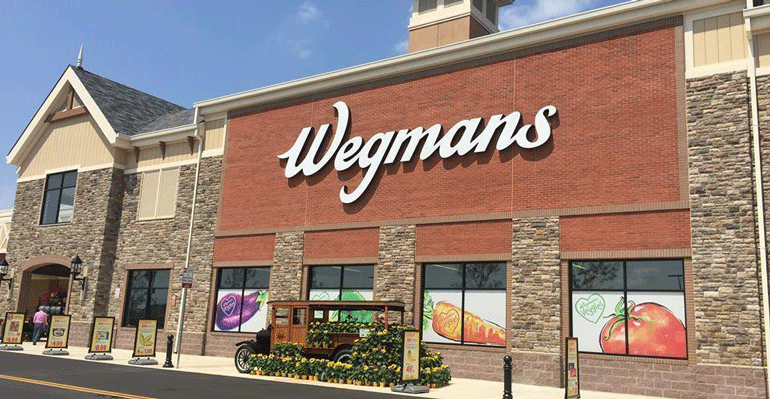 Wegmans topped all grocery retailers in terms of quality. Similarly, private labels correlate strongly to quality and price. Dunnhumby cited H-E-B as one traditional supermarket chain succeeding in this area, noting that its store-brand scores equal those of private-brand leaders like Costco and Trader Joe’s. The main drivers of consumer preference in digital are whether a retailer provides easy ways to shop online or via a mobile app and sends shoppers useful information, dunnhumby’s analysis found. The top winners in digital on the index were Amazon, Target, Peapod, Walmart and Sam’s Club. Retailers with the best digital experience were either thriving financially or “treading water,” the report said. Though both groups deliver superior websites and/or apps, the five-year grocery sales compound annual growth rate for thrivers averaged 11.1%, whereas the CAGR for those treading water averaged 0.02%. 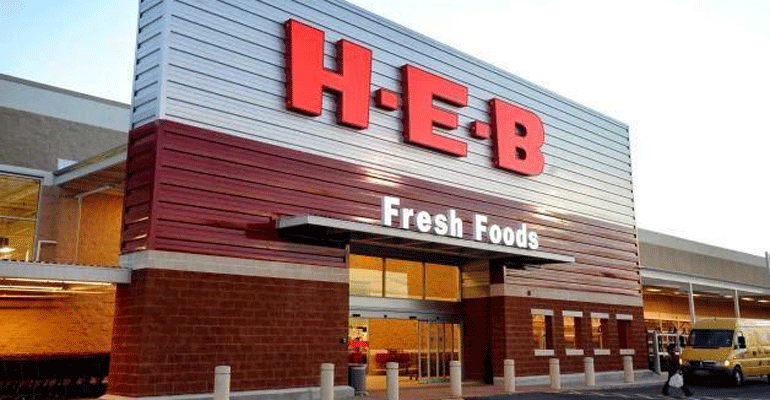 H-E-B was cited as a leader in quality and price, fueled by a strong private-label program. “The call to action for any retailer investing in digital is to ensure that they have a well-priced offering of digitally in-demand, center store products as well as the scale within its footprint to reach a wide audience. Otherwise, digital as an amplifier of financial success is in doubt,” the study noted. Retailers leading the index in operations — Market Basket, WinCo, BJ’s Wholesale Club, Publix and Costco — are adept at reducing out-of-stocks, pricing consistently, maintaining clean stores and offering the right product variety for their customer base. But dunnhumby warned that the rising importance of digital can distract grocery retailers’ focus from these areas. Relevancy and ease of redemption are the keys to retailer success in discounts, coupons and shopper rewards, the study found. Four of the top five retailers in this area on dunnhumby’s RPI were Kroger Co. banners (Fry’s, Kroger, King Soopers and Smith’s), with the other being Price Chopper. To win over customers and succeed financially with deals, offers and rewards, retailers must focus on personalization “to point shoppers in the right direction” rather than “throw a lot of money at discounts and promotions just to make sure some of them stick,” the report pointed out. Walmart and its Neighborhood Market stores, Publix, Market Basket and Albertsons Cos.’ Jewel-Osco banner were the top retailers in convenience, defined in the study as convenient locations and the ability for customers to do all their shopping at one store. Aldi finished first in the index on pricing. “Convenience can help keep a retailer afloat. With enough locations and products, customers can’t help but be captive to visiting those stores for at least some products, especially if they have built up a habit of doing so,” the report said. And related to consumer preference for convenience is the RPI pillar of speed in the shopping visit, or the ability to easily enter and exit a store — or make an online order — and then check out quickly. Amazon, unsurprisingly, ranked No. 1 in speed among consumers surveyed, followed by Aldi, Publix, Brookshire Food & Pharmacy and The Fresh Market.